Galveston Ferry Ride and Attractions in Galveston Texas. 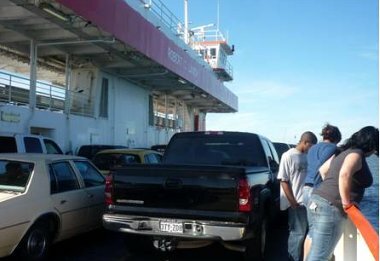 The fun filled Galveston Ferry ride is one of the exciting things to do in Galveston Texas. The ride originates from Ferry road (Port Aransas) on the Eastern part of the island to Port Bolivar at the Bolivar Peninsula. The 2.7 mile ride attracts 8 million users and tourists throughout the year. The busiest months for ferry use are June, July and August. 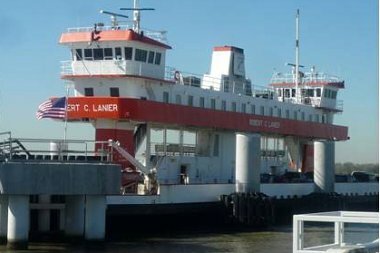 The 185 feet long ferry carries over 50 standard cars and 400 passengers. At the speed of 12 knots, it's slow enough for passengers to move about freely. The upper floor is air conditioned with seats and two restrooms making it convenient for resting. There are guides who instruct us of movements on the ferry to make sure everybody is safe. We don't have to pay for the ride. It's a free ride. We can either drive onto the ferry or park our vehicles at a free parking lot and take the 2.7 mile ridein and out. If we drive onto the ferry, we'll be forced to drive out before getting back onto it. The ferries run 24 hours throughout the year. They depart from each terminal every 10-20 minutes. Sometimes a severe weather might determine the operating hours. There are 2 vessels operating but there is room to add more when traffic is overwhelming especially holidays. This ride permits us to see the Seawolf Park from afar and sometimes a close view of cargo ships passing by. It is also possible to see playful dolphins sometimes. 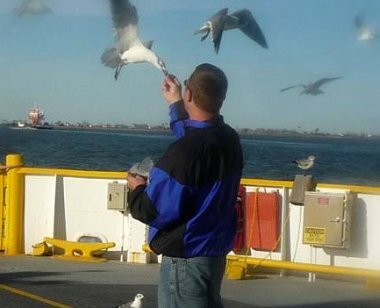 One thing a lot of us love to do most is to feed the birds from the back side when the ferry is moving. Multitude of birds follow the ferry expecting to catch some food thrown into the air or be hand fed. Bring along big bags of chips or enough bread to cover the trip. It's amazing how much excitement can be derived from that. Make sure you have a travel camera for vacation. Word of caution, avoid touching the camera lens after feeding birds with chips. The lens may be blurred by the oily hands. I got mine blurred and before I knew it I had taken many important photos. The Galveston ferry ride is one of the excellent attractions in Galveston Texas. I'll do it anytime I come to Galveston. It's very easy to get to the ferry From Houston direction. I-45 South changes to Broadway in Galveston. Drive on Broadway to the Seawall Blvd. Make a left on Seawall Blvd and another left on 2nd street which leads to Ferry Rd. The Ferry Rd. goes direct to the ferry. 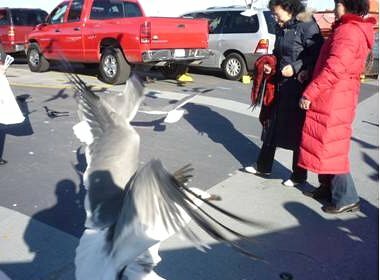 It's fun to feed these fearless birds on the ferry. Most often dolphins are seen on the ferry ride. 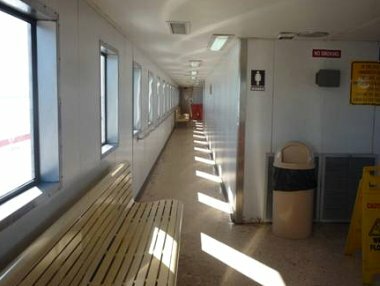 The air condition upper floor of the ferry. 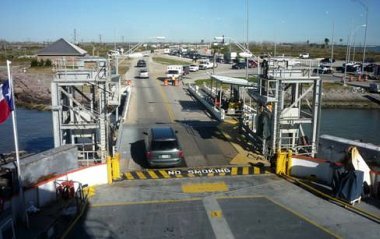 Vehicles exit the ferry to Bolivar Peninsula.